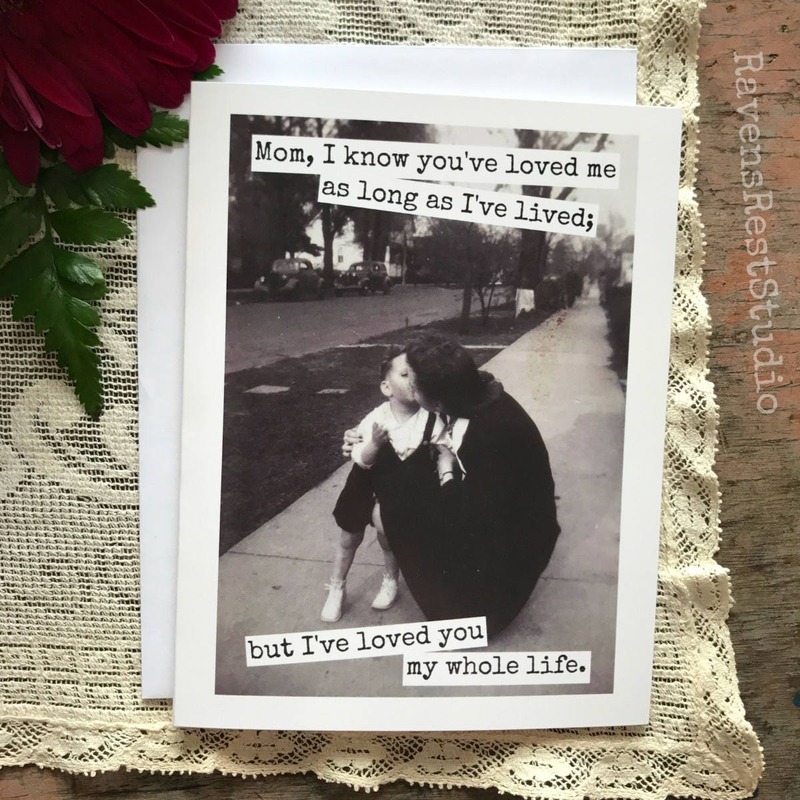 Mother's Day Card. Greeting Card. 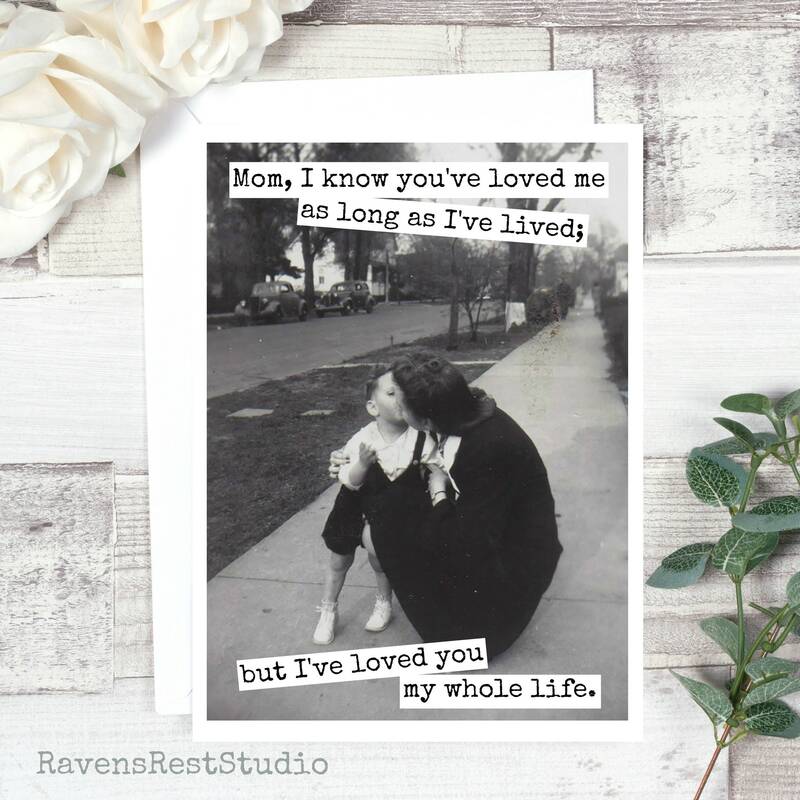 Mother Quote. Vintage Mom. 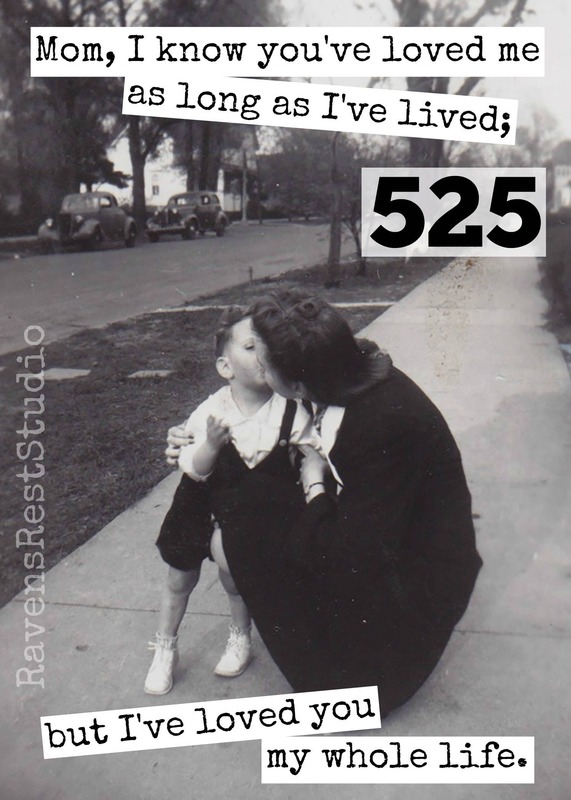 Mom, I know You've Loved Me As Long As I've Lived; But... Card #525. 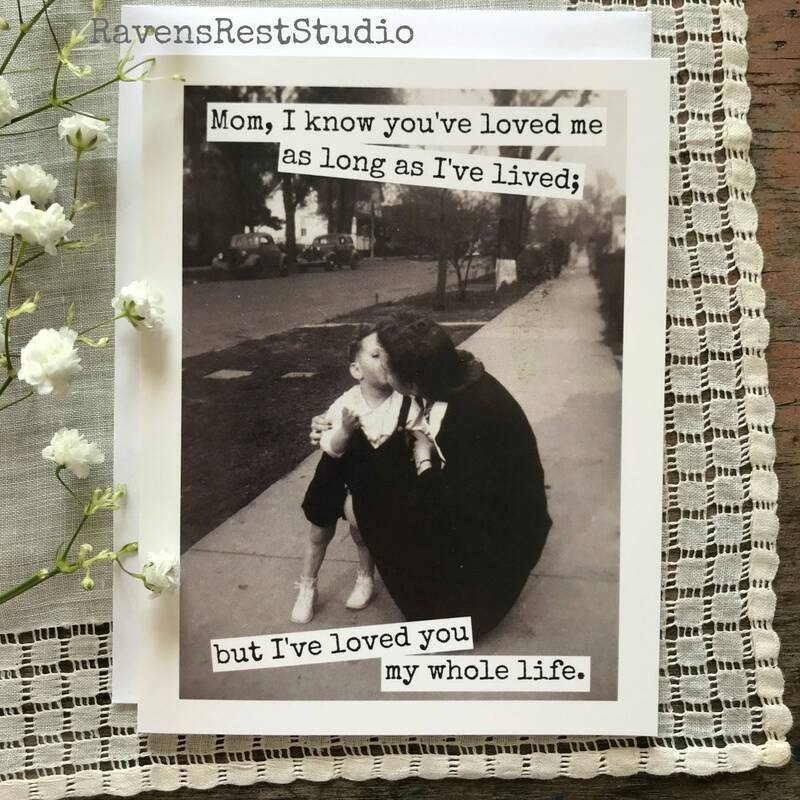 This card features a mom with her son and reads: "Mom, I know you've loved me as long as I've lived; but I've loved you my whole life."